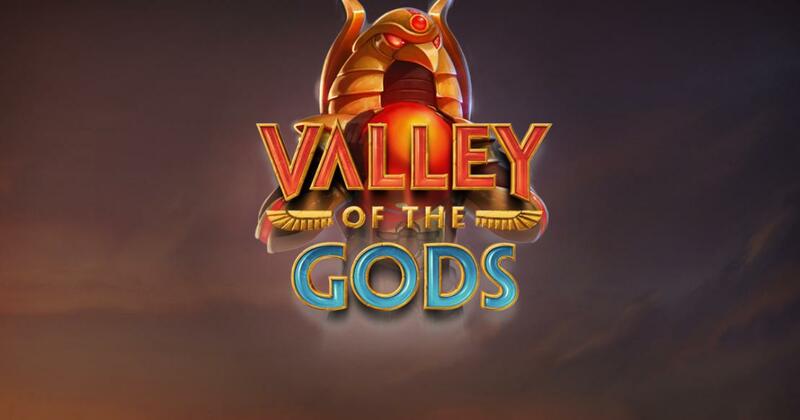 Valley of the Gods is a release from Yggdrasil Gaming, a developer that chose a very common Ancient Egypt theme, but made up for it with the layout and features. Yggdrasil Gaming is a company that has been established in 2012, and yet in this short time it has managed to get the respect of most players that have tried their slots. You can see why in slots like Valley of the Gods, where even though they chose the boring Ancient Egypt theme, they did enough with the design to make the game stand out anyway. The layout is one of the things that you will notice first, with a large number of symbols being blocked off initially. You will have images of Egyptian origin on the reels, with Ra, Osiris and Anubis present among the gods, along with various hieroglyphic depictions of creatures and people used as well. The game’s unusual layout gives you 5 reels, but only 45 ways to win initially, as well as a chance to get up to 3125 ways with some luck. The basic payouts, the ones you get without multipliers applied to them, will reach $2,000. As features, the slot will rely on collectable symbols, on respins and win multipliers. The number of ways to win might vary during spins and respins, but the bets will always require the same 25 coins from you. You choose coin values that go as high as $4, and so the complete range of the wagers will be from $0.25 to $100. You might start off with just 45 ways to win, but if you start getting winning combinations you will find that some of the blocked positions around the symbols will fall off, revealing additional symbols. Respins will come next, and will then continue until no more wins are going to be formed. There are two Scarab Collections to be triggered, one providing you with multipliers, the other one with extra lives. You unlock them both by removing all scarab blockers. The first collection gives you a multiplier at 2x, with an additional +1 added to it each time you collect 5 blue scarabs. The second collection has extra lives to give you, and one is offered for each 5 red scarabs that are collected. It’s a game with a feature mix that is unusual, and that’s the part that saves it from being as boring as most Ancient Egypt slots.